It had been a long day. 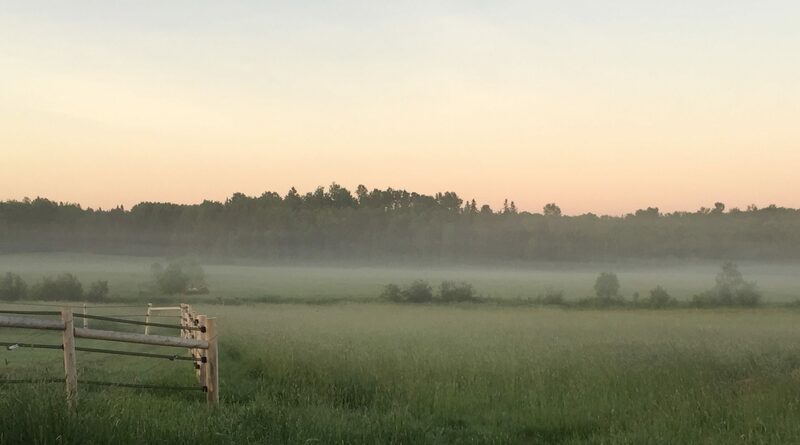 Pulling into the last farm brought a mix of sweet relief combined with the sense of scraping the bottom of my solar plexus – searching for one last ounce of energy. Only a few more, I told myself. I can do this. Walking our tools up the steep hill towards the barn, my farrier partner, Rodd, and I stumbled on some of the dips in the snowy footpath. There had been several horses earlier that day who were less than cooperative, leaving both of us looking worse for wear. Finally making it through the barnyard gate, we greeted the client who had just rushed home from work to meet us. Apologizing for not having better vehicle access, she kindly took some of our tools, sharing the load as we headed into the barn. Let me preface the rest of this story by saying I don’t blame the horse owner for what came next. There are all kinds of blunders people make around horses, and although they tend to be avoidable, we’ve all made mistakes. Knowing the infrequency these horses get handled, I started to form the word NO, but it was too late. The gate to the paddock with the three mares was now open and they didn’t miss a beat. The excited trio began galloping around the small fenced-in barnyard that connected to their field, the gelding’s field and the barn itself (which the mares had absolutely no interest in entering). This was me. On the inside. I watched for a moment in a slight state of shock as I realized the end of my work day was going to require much more energy than anticipated. The owner, now frantically waving her arms and shouting at the horses, made attempts to chase after the rowdy bunch. They easily avoided her, and kicked up their heels in celebration of their partial freedom. The four geldings in the other paddock were now completely engrossed by the scene, lined up along their fence trying to catch the girls’ attention. The lead mare proudly trotted over to the fence line, while the other two slowed down and shyly stood behind her. Sniffing noses with the boys, the confident mare loudly exclaimed her insistence on being in charge with a very vocal display of stomping and rearing. This sent them all flying around the yard once again. By this point, Rodd and I had made attempts to be helpful, getting some buckets of grain, but the horses were so wound up they barely noticed our efforts. The snow had become slick and packed down with all their running around. As the lead mare made another animated, flirtatious advance towards the geldings, she slipped and couldn’t stop herself as she skidded right into their gate, popping it off its hinges. They were now all loose. Taking off into the boys expansive field, all seven horses galloped around – squealing, bucking, rearing and, most concerning of all, trying to assert their dominance. The two herds had never before interacted with each other, and they were intent on sorting out their hierarchical dynamics. Our client was now completely panicking. Rodd was doing his best to be assertive with a lunge whip and separate the most intense horse battles, trying to avoid serious injury. Still standing there with a bucket of grain, I gave my head a shake. Ok, time to actually use some of your new skills, Carmen. Taking a moment to centre myself, begin some specific breathing techniques, and visualize exactly what I wanted to happen, I began to approach the chaotic scene. At first, it was so quick I nearly missed it – that momentary pause and shift in their focus. Armoured with an open heart, I continued approaching, each of their pauses becoming slightly longer. Finally, the lead mare decided to come over and greet me. Hyper-present, I slid on her halter and lead her into the barn. The others, more willing to follow their confident friend, allowed themselves to be caught and brought in as well. Miraculously, no horses had any injuries whatsoever – a true rarity in this kind of circumstance. There were many lessons I gleaned from this day. What stands out most for me is this: when we are tired, stressed and rushed, it is so easy to forget – easy to forget what we’ve learned, our goal, our timing and our connection. When we can remember who we are in the midst of chaos, anything becomes possible. What do you need to remember in stressful moments? Permission was granted by our client to write this post. Interested in Leadership or Personal Development with some Horse Sense? Click here. Wow. Love it. Staying calm and present is transformative. Thanks for this story! It is certainly transformative, and undervalued when tensions are high. Wow this story made my heart race! We have ll been there my friend. Kudos to you for getting quiet and using the awesome skills you’ve learned!